One of the city's iconic clubs, located at the main square in Puerto Banus, Tibu is Marbella's after hours beating heart. It runs seven days a week, but is busiest on the weekends when the crowd is unlikely to disperse before the late morning hours. Tibu is also one of the largest clubs in the area, ready to accommodate more than a thousand visitors at any given time. 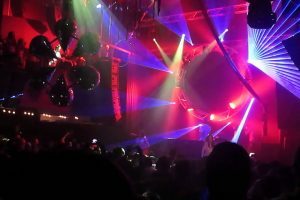 There are several areas inside the venue, including a VIP zone and a large terrace area to chill out on those hot summer nights. If you’re coming in a group and looking to avoid the crowd, it’s always best to book a table in advance. 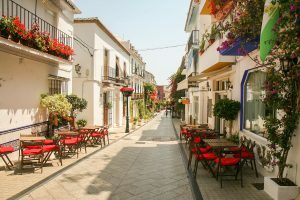 Run by Wayne Lineker, brother of the legendary English footballer Gary, this cosy venue in Puerto Banus has become a staple for the city’s nightlife elite. During the day, it runs as a sports bar, but turns into a proper dancing club in the late evening hours. Linekers is equipped with 25 screens, two large bar areas and VIP seatings you can book in advance. Ready for some champagne and cocktails? Spreading across 9000m2 at the Puerto Banus beach front, Ocean Club is Marbella’s answer to Ibiza’s Cafe Del Mar. The club’s centrepiece is the salt water swimming pool, encircled by loungers and parasols to keep you cool under the sun. 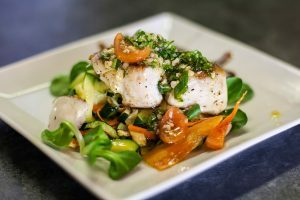 An extensive vine and champagne list, topped with some French-Mediterranean fusion delivered from the restaurant kitchen, is sure to make your mouth water. But the place is probably best known for its over the top “champagne spray parties” and weekend events such as Club Tropicana every Friday, the OC Saturdays and of course, Lazy Sundays, when you’re expected to chill as God intended. Just a stone’s throw away from the famous Puerto Banus tower, this exclusive rooftop club offers a breathtaking view over the harbour, making it a perfect setting for a memorable night out. Pangea is one of the most popular clubs in Marbella, so don’t be surprised if you get to queue outside the door, especially on a busy weekend night. If you are arriving in a group, we advise you to book in advance to make sure you get the best of comfort. This upscale club adjoining the splendid Babilonia Restaurant is one of Marbella’s most exclusive spots, known to have hosted some of the world’s top celebrities. If you are very lucky, you might bump into Kate Moss or Naomi Campbell on a weekend night. With a capacity for more than a thousand people, Olivia Valere has become a mandatory meeting point for armies of club goers looking a unique night out. Every Thursday, Friday and Saturday, from midnight to 7am.